Looking for the best blender for making flour? You're in the right place! We've been using blenders for almost a decade now and own all the major brands. Needless to say, we've made many different types of flour in the process. Our top picks for blenders to make flour (almond flour, rice flour, seed flour and more). Why we picked all of them. The pros and cons of each of our picks. Vitamix 5300 – The Vitamix 5300 is our #1 pick for making flour for a few reasons. For one, it’s comes with the wide 64 oz Vitamix container which is excellent at creating that crushing vortex. This is mainly because of the longer blades and wider surface area at the top. It can do a great job without it, but you can also opt to get the grain jar down the line if you want to get the absolute best performance for flour. 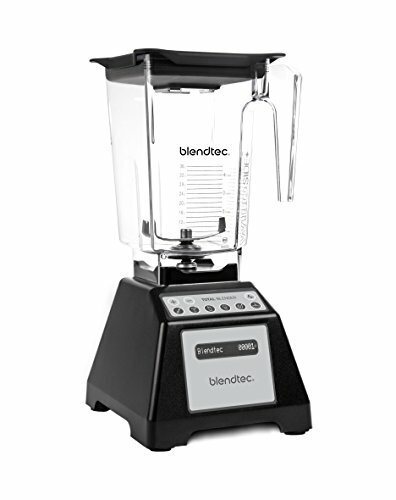 Blendtec Total Blender – With it’s 3-Peak HP motor, the Total Blender is a Powerhouse. If you’ve seen the commercials, then you know that there’s nothing that it can’t blend. Turning grains into flour is no exception. Plus, it’s totally affordable if you opt for the refurbished one which we’ve linked here. 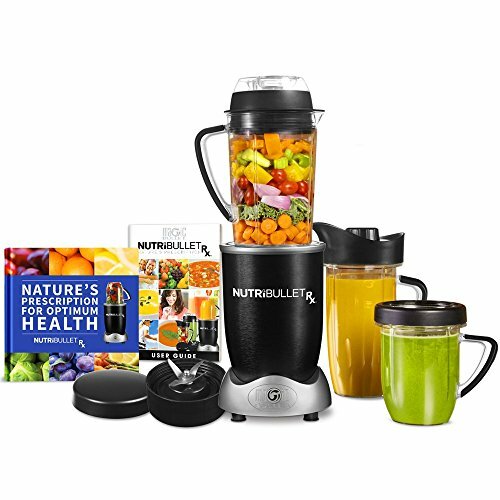 Magic Bullet Nutribullet Rx – While it’s not one of the top-tier blender brands (like Vitamix and Blendtec), the Nutribullet series is pretty close. The Rx comes with a whopping 1700 watt motor and a pretty large container for a bullet blender. This means that turning oats and other grains into flour for baking is a breeze. Why Are These Blenders Good for Flour? All of the blenders on this list are significantly more powerful than the average blender on the market. Making flour can be taxing on the motor, so you want to make sure your motor won't overheat or stall while you're blending. While all of these blenders have different style blades, they're all decent at creating a vortex and keeping the dry grains, rice, or seeds moving towards them in a constant fashion. If the blender can't form a vortex, all of the grains will get stuck on the top and only the bottom will turn into flour and eventually overheat into a paste. What's important to note is that the Vitamix dry grains jar blades is especially designed for making flours while the rest are designed to be more versatile. In the dry grain jar, the blades move the dry ingredients away from the blades so that nothing gets stuck and packed down. We highly recommend the dry grains jar if you want the best for the job. With the exception of the Nutribullet, both the Vitamix and the Blendtec on this list have excellent warranties. As we mentioned, the Vitamix with the dry grain container is the ultimate at making flour. Because the blades are designed to push the ingredients up and away, it allows all of the ingredients to quickly and easily form into a vortex. In this video, you can see how easy it is to grind oats into flour. I'm using the Nutribullet 900 here, which is even less powerful then than the Rx (which is on this list). The Rx has a motor that's almost double as powerful along with bigger blades and a bigger container. This video is a testament to just how powerful the Blendtec is and how well it makes flour. Watch as it turns coconut into coconut flour. The final result is super-fine and perfect for nutrient-dense baking. It's really difficult (and near impossible) to stress out the Blendtec motor and blades. 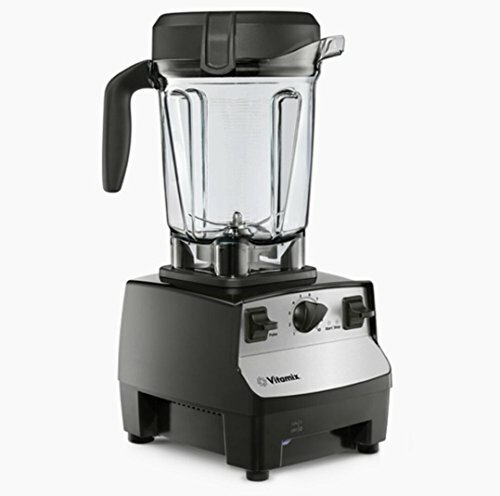 Why We Picked It: The Vitamix 5300 is the perfect Vitamix option for someone who doesn't want to break the bank, but wants everything that the Vitamix has to offer. When it comes to flour, the standard 64 oz container that it comes with is pretty good. You'll be able to get by grinding all your basic flours, especially the softer ones. But if you want the best of the best, you have the option of getting a dry grains container from Vitamix down the line. Who It's For: ​Perfect for anyone who can afford it. Other Capabilities Beyond Flour: Hot soups, thick smoothies, batters, chopping, ice cream, sauces, nut butters, juices, dips and more. Pros: A few short points about the pros. Cons: May be pricey. Dry container sold separately. Why We Picked It: ​It's an affordable option that won't stall out or break, no matter how hard the ingredients are. If you're throwing in hard nuts or seeds, the dull blades and powerful motor will turn it into a flour in short order. Who It's For: ​Larger families. Best at large batches. Other Capabilities Beyond Flour: ​​Hummus, thick shakes, ice cream, hot soups, almond butter, peanut butter and much more. Pros: ​Extremely powerful. Great value (affordable). Cons: Refurbished only comes with a 3-year warranty. Why We Picked It: This is our more budget-friendly option for people who still want to do some softer flours. It's great at doing things like making oat flour, grinding up whole flaxseeds. I've even made rice flour in my Nutribullet. Who It's For: Smaller families or single individuals on a budget. Other Capabilities Beyond Flour: ​Smoothies, whole juices and hot soups. Pros: ​Affordable. Powerful. Multiple cup options if you also want to take smoothies on the go. Cons: Only a 1-year warranty. Not as powerful as other options. The Vitamix 5300 is our #1 pick for flours, especially if you can afford to get the dry grains jar. The Refurbished Blendtec Total Blender will get the job done if you want a more budget-friendly alternative to a Vitamix. It’s got a shorter warranty, but that’s the only real downside when it comes to making flour. The Nutribullet Rx isn’t as heavy-duty and well-designed as the other two (in my opinion), but it still fits the bill. I’m a big fan of making flour with my Nutribullet when I don’t feel like getting out one of the bigger blenders. Most of the time, it works just fine. Want to see our top blender picks of all time? Check out this guide to blender types.